A new title about golf in its purest form. September will bring us the latest “journal” from the makers of The Surfer’s Journal, and if its premier issue is any indication, the magazine should be a stunner. The Golfer’s Journal makes its debut with a boxed presentation for VIP subscribers that’s also filled with goodies and promises of more to come down the road. Brendon Thomas, the magazine’s publisher, brings us his latest offering and does not disappoint. 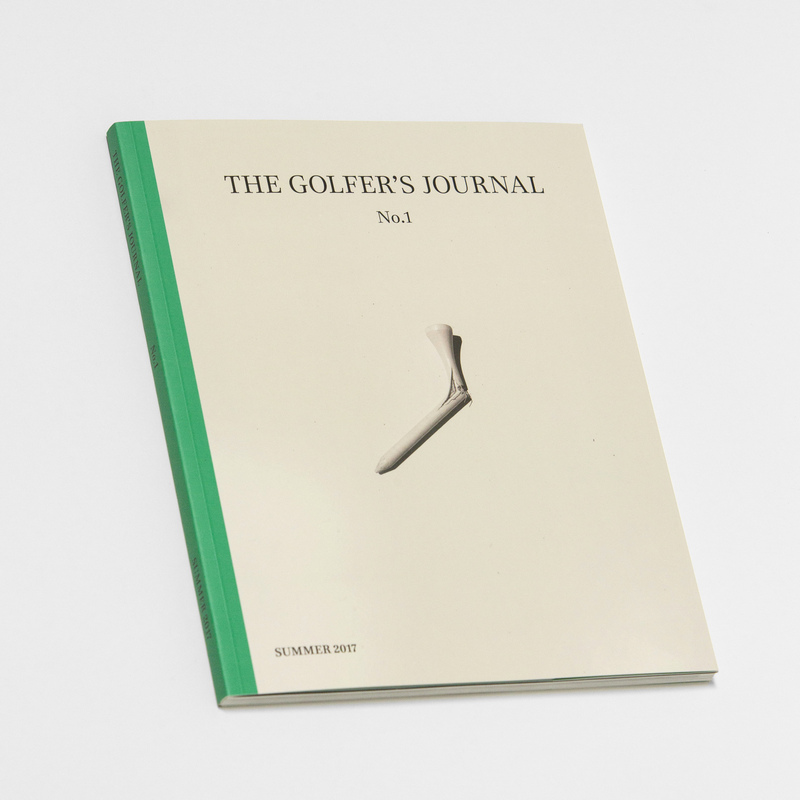 From the unique first edition to the commercially uncluttered pages that he promises within the magazine, The Golfer’s Journal aims to become the defining rallying point for people who want more from their golfing magazine than mere tips and celebrity statistics. I spoke with Brendon recently and we talked about the business model that enables him to bring these amazing books to life. Half paid by the sponsors (not called advertisers by Brendon), and half paid by the consumers who support it, The Golfer’s Journal, not unlike its sister publication, The Surfer’s Journal, makes no apologies for its premium-priced content. Why? According to Brendon, because the magazine is worth it. By limiting the ads in the magazine, the pages are instead filled with insightful and creative content, pictures and artwork by some of the best in the business. It’s an escape that takes you into a world of golf unlike any you have known. The magazine strives for the true connoisseur of the sport and reaches a deeper level than most of its counterparts that are on the marketplace. And Brendon, an avid golfer himself, wouldn’t have it any other way. Brendon shared that The Golfer’s Journal recently held its launch party and a great and successful time was had by all, with the energy and excitement of everyone fairly palpable. So, I hope that you enjoy this most delightful and insightful interview with a man who loves golf and surfing and who shares those passions eloquently through his magazines, the Mr. Magazine™ interview with Brendon Thomas, publisher, The Golfer’s Journal. On his thinking behind bringing a specialty magazine that covers a broad topic into the marketplace despite the negative things said by many: You hear a lot of things about the marketplace, but on the ground, that’s not what I’m seeing. All I have to go on is my experience with The Surfer’s Journal and that’s going exceptionally well. Subscriber base is growing; we’ve increased interest from advertisers and have a waiting list of people trying to sponsor our Journal. On the response he’s received already from the magazine: We had pretty modest goals, frankly, since we’re primarily in the surf space. I’m an avid golfer with a lot of connections in the golf industry, but that’s mostly due to my position at Surfer Magazine before. So, we didn’t expect to get the interest and traction that we’ve received so far. As far as quantifying it is concerned, we’re printing 30,000 for the first issue and half of that print-run is accounted for already. On which he enjoys more, being an avid golfer or being the publisher of a golf magazine: (Laughs) Obviously, being a golfer. I absolutely love the game. I’m a low, single-digit handicap player, whose handicap has gone a bit higher since I’ve had children. And since I decided to start a golf publication; I’m not getting out as much. But there’s a lot of similarities between golfing and surfing. I love both of them. I’d rather be playing golf everyday if I had a choice. But we have to make a living. On any major stumbling block he thinks he might face as he moves forward with the magazine and how he plans to overcome it: Distribution will be difficult, and awareness. Obviously, with social media platforms, we can get a lot more awareness going quickly, but the selling point of these books, apart from the great editorial, is the physical product. To really understand how cool they are, you have to hold one. In The Golfer’s Journal, there are far more solutions to that problem than there are in The Surfer’s Journal. There are existing clubs and charity golf tournaments; lists of people who are avid golfers and who are members of country clubs and golfing communities. So, our plan to overcome that problem is to form a coalition with these clubs and communities to share our interests and our golf and enlighten them to our rare product. On the magazine’s business model (the very high cover price) and his practice of calling advertisers sponsors: As you and I know as magazine geeks, there’s obviously ways to cover the costs of your production through selling physical copies. We have found a balance between having our sponsors underwrite a lot of the costs of production, not all of it. We call them sponsors because they don’t just appear in print, they appear on every, single thing we do. They’ve got a logo on every page of our website; they’re at the events we hold; they’re on the bumpers of our videos online. They have the call-out on the cover flap; they’re listed on the masthead as sponsors. The reason why the price is so high is that we’ve found that there are a lot of readers who are tired of the commercialism in magazines and who are tired of how many ads they have to sift through to find the editorial. On being Print Proud, but Digital Smart at the same time: I come from a digital background. I was a computer programmer before I got into editing and publishing, so I’m very intensely aware of the pitfalls and the benefits of digital media. My previous position at Surfer Magazine; we took a more traditional approach to kind of blending the two and monetizing each vertical and treating them both almost as separate entities under the same brand umbrella. At the Journals we have a slightly different strategy, in that the digital exists to point people to our print products. And it’s a wonderful way to do that, because we can reach so many people and bring them into the fold. On the premier boxed issue of The Golfer’s Journal, which costs $150: Essentially, the way we’ve framed it is the same as in public radio or something. You become a benefactor of this reader-supportive project. It’s like a Kickstarter campaign, people are pledging money and in return they’re going to get some benefits by doing so. What we’ve done for the premier issue is we’ve created a really beautiful box that the issue will come in. We have one of our sponsors, G/Fore, has done a Golfer’s Journal glove with our logo on it. We have a hand-forged ball marker that will come inside the box. And they’re all presented beautifully inside the premier issue. On whether he’s trying to form a community where, other than the game of golf itself, the magazine will be a magnet for them: Yes, I think so. We’ve found the same thing with The Surfer’s Journal; we have this inner circle of people who love the sport so much and the magazine is kind of the rallying point for them to coalesce around. In golf, there are a lot of those types of things. There are clubs and societies; book clubs and those sorts of things that really exist around the game. We want to create one that’s similar to that. On whether he thinks of The Golfer’s Journal as being more a cause than a business: Yes, absolutely. We’re doing our best here to kind of stop the scourge of anti-intellectualism. We’ve been making a surf magazine for 26 years and when you think of surf magazines, you don’t think of great literature, but that’s what The Surfer’s Journal has really set itself apart with. It’s this fantastic writing, interesting characters, and highlighting people who are doing terrific art and really elevating the conversation. On whether the VIP subscription to receive the boxed first edition has a deadline: No, what will happen is it will morph into a premium subscription after the founding, so the founding subscribers will remain the founding subscribers, they are the people who came in on the ground floor and contributed and helped get the thing off the ground. But as we come out with the second and third issue, that will change into a premium subscription and the offering will essentially be the same. On anything he’d like to add: The first issue will be shipping out the first of August; it will be in our hands the first or second week of August, and then we will be shipping it out to subscribers. Also, one of the interesting things about this process, and it’s been going on for 18 months now to make this first issue, has been the willingness of really topnotch writers, photographers and artists to take part. We haven’t had one person that we’ve approached to say no, and say that this is not something they want to be a part of. They have all leapt at the opportunity to contribute and become part of the family. On what he would have tattooed upon his brain that would be there forever and no one could ever forget about him: My number one thing is I want to deal honestly with everyone I work with, and to deliver on what I promise. That’s basically my number one goal. On what keeps him up at night: Everything. Starting a new title is scary and there’s so much that goes into it. We’re not just a print publication, obviously. We have social arms and digital arms and the mechanism that runs the business has to constantly be refined and upgraded. So, it’s not a simple thing. There are moments where I’m wildly optimistic about what we’re putting together and how well our titles are doing. And then there are other moments where there is always uncertainty. And now the lightly edited transcript of the Mr. Magazine™ interview with Brendon Thomas, publisher, The Golfer’s Journal. Samir Husni: Some people today, when they hear about a new magazine coming, especially in print, they are quick to qualify it as very niche or some sort of limited edition. They say the future for big print that deals with big subjects is really non-existent anymore. Yet, you’re coming out with; yes, a specialty magazine, The Golfer’s Journal, but by the same token, it’s not a tiny topic. What was your thinking behind bringing The Golfer’s Journal into the marketplace? Brendon Thomas: You hear a lot of things about the marketplace, but on the ground, that’s not what I’m seeing. All I have to go on is my experience with The Surfer’s Journal and that’s going exceptionally well. Subscriber base is growing; we’ve increased interest from advertisers and have a waiting list of people trying to sponsor our Journal. And I have been working on this idea for five or six years now. 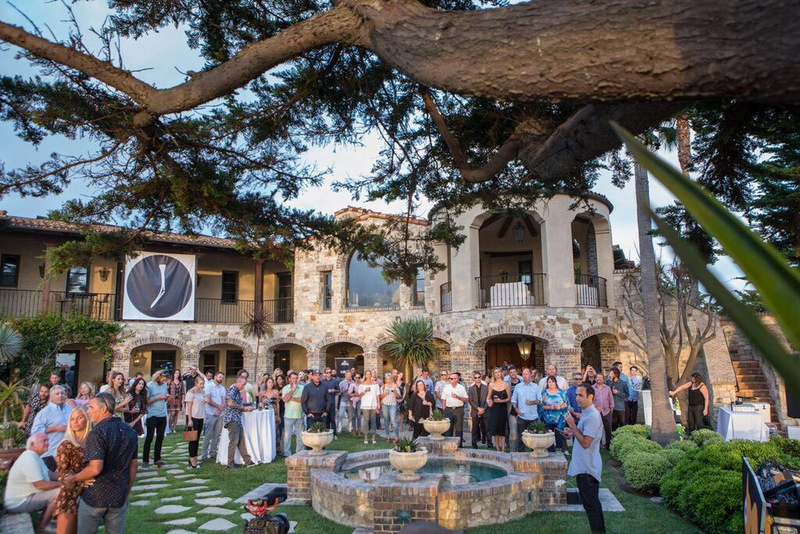 Seeing all of the stars align by being at The Surfer’s Journal and seeing its continued success, and seeing what appears to be a giant gap in the market in golf, which is to say, there aren’t any magazines like The Surfer’s Journal in the golf space. There are one or two premium publications, but they’re littered with advertising. And they cater to a really elite, affluent audience exclusively. 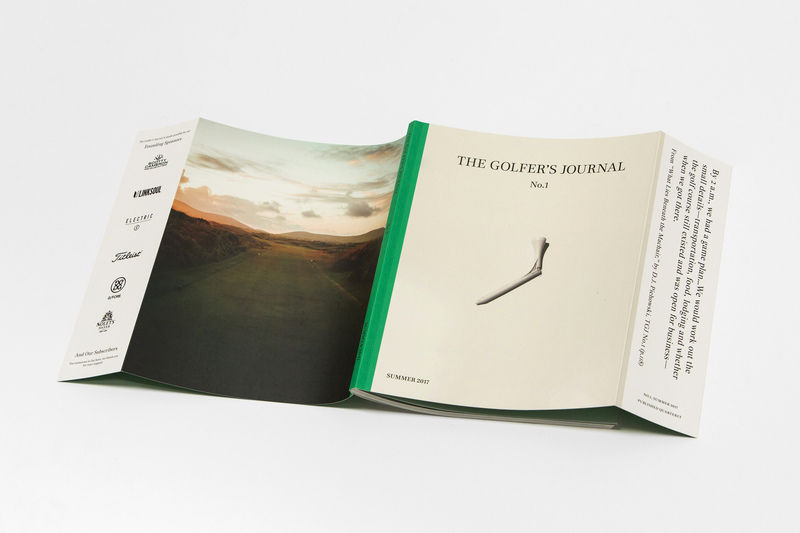 So, we wanted to create something that is The Surfer’s Journal for golf, which is to say that it’s a beautiful publication that is half book, half magazine. The subject matter appeals to a broad readership, but it’s also very focused on the purity of the game. 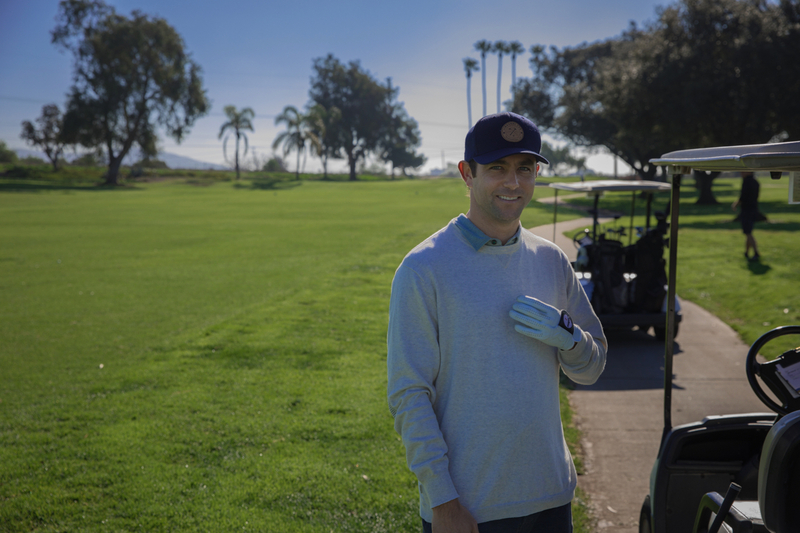 We don’t deal with offering swing tips and game improvement tips and celebrity profiles, and those sorts of things; golf is a lot more than that. All the major publications seem to copy each other and do the same thing over and over again. So, we wanted to create something that celebrates the game for all of its diversity. And celebrate the photography, which is gorgeous and often underrepresented in other publications. As well as celebrate the culture around the game; the art that’s inspired from the game, and the people. There are so many interesting people who play golf and who are in the game neck-deep. So, we’re trying to provide avenues to tell those stories. And so far, the response has been fantastic. Samir Husni: And since you announced the launch of The Golfer’s Journal, you just mentioned that the response has been fantastic, could you quantify that statement a bit more? Brendon Thomas: Sure. We had pretty modest goals, frankly, since we’re primarily in the surf space. I’m an avid golfer with a lot of connections in the golf industry, but that’s mostly due to my position at Surfer Magazine before. So, we didn’t expect to get the interest and traction that we’ve received so far. As far as quantifying it is concerned, we’re printing 30,000 for the first issue and half of that print-run is accounted for already. Samir Husni: You said that you’re an avid golfer, and I saw your title on The Golfer’s Journal as the publisher; which of the two hats do you enjoy more, being a publisher of a golf magazine or being a golfer? Brendon Thomas: (Laughs) Obviously, being a golfer. I absolutely love the game. I’m a low, single-digit handicap player, whose handicap has gone a bit higher since I’ve had children. And since I decided to start a golf publication; I’m not getting out as much. But there’s a lot of similarities between golfing and surfing. I love both of them. I’d rather be playing golf everyday if I had a choice. But we have to make a living. And I also want to create something about the game that preserves its history and celebrates the gifts of golf that never see the light of day. The game is ancient and people have been writing about it for hundreds of years. So, there’s a lot of ground to cover and that sort of thing isn’t presented in a way that can be kept; in a tone that will last as it’s presented in some publications. Those publications are generally monthlies that are discarded when they’re finished being read. And as we’ve found with The Surfer’s Journal, our journals don’t get thrown away; they are kept on bookshelves and on coffee tables for years. Samir Husni: What do you envision as the major stumbling block that’s going to face you as the magazine moves forward and how do you plan to overcome it? Brendon Thomas: Distribution will be difficult, and awareness. Obviously, with social media platforms, we can get a lot more awareness going quickly, but the selling point of these books, apart from the great editorial, is the physical product. To really understand how cool they are, you have to hold one. And the same is true for The Surfer’s Journal. That’s a challenge, because these books are costly to produce and we don’t give discounts or give them away for free. So, we have to find clever ways to get them into people’s hands so they can experience it. And really understand the quality of the paper; the quality of the photography; the quality of the writing; and the exceptional layout and design. It’s getting copies into people’s hands. In The Golfer’s Journal, there are far more solutions to that problem than there are in The Surfer’s Journal. There are existing clubs and charity golf tournaments; lists of people who are avid golfers and who are members of country clubs and golfing communities. So, our plan to overcome that problem is to form a coalition with these clubs and communities to share our interests and our golf and enlighten them to our rare product. Samir Husni: As you mentioned, the magazine is not cheap; you’re charging a premium price and you’re doing a unique presentation of the premier issue that comes out in September. Can you tell me a bit more about your pricing strategy, which is also a part of the business model of The Surfer’s Journal? And tell my readers how you refer to the advertisers as sponsors instead of advertisers. Brendon Thomas: As you and I know as magazine geeks, there’s obviously ways to cover the costs of your production through selling physical copies. We have found a balance between having our sponsors underwrite a lot of the costs of production, not all of it. We call them sponsors because they don’t just appear in print, they appear on every, single thing we do. They’ve got a logo on every page of our website; they’re at the events we hold; they’re on the bumpers of our videos online. 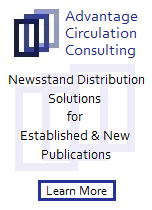 They have the call-out on the cover flap; they’re listed on the masthead as sponsors. So really, it’s an all-encompassing sponsorship of a brand. 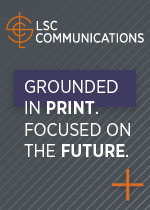 Everything we do, we’re out there representing those brands and delivering their message. The reason why the price is so high is that we’ve found that there are a lot of readers who are tired of the commercialism in magazines and who are tired of how many ads they have to sift through to find the editorial. And they’re willing to pay for their commercially-quiet experience. And simply put, that’s what it’ll cost us to provide that for them. With our sponsors paying a part of it and our readers paying the rest to cover the cost of the publication of these books. 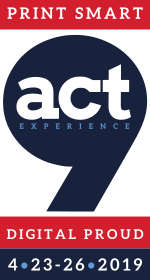 Samir Husni: The theme of my 2018 ACT Experience is Print Proud, Digital Smart. And if I could think of one entity that actually manifests itself in that way, it would be The Surfer’s Journal and soon The Golfer’s Journal. You don’t shy away from being proud of your print product, but you also have a very smart digital strategy. Brendon Thomas: I come from a digital background. I was a computer programmer before I got into editing and publishing, so I’m very intensely aware of the pitfalls and the benefits of digital media. My previous position at Surfer Magazine; we took a more traditional approach to kind of blending the two and monetizing each vertical and treating them both almost as separate entities under the same brand umbrella. At the Journals we have a slightly different strategy, in that the digital exists to point people to our print products. And it’s a wonderful way to do that, because we can reach so many people and bring them into the fold. But we don’t have a digital version of the magazine. There is no place that you can get our content online, unless you are subscribing, in which case you have access to all of our archives digitally, so that you can download and read them. I found in my last position and here that it’s the same as if you were selling any other physical product; the website exists to sell that product. That’s the strategy we’re taking with the Journals. And the best way to advertise that product is to put out good content on the websites and make sure that it’s showing what’s unique about our offering, but not showing all of it. To get the entire story, you have to be a subscriber. Samir Husni: Tell me more about the premier issue due out in September. It’s in a box and for people to get it they will have to pay $150. Brendon Thomas: Essentially, the way we’ve framed it is the same as in public radio or something. You become a benefactor of this reader-supportive project. It’s like a Kickstarter campaign, people are pledging money and in return they’re going to get some benefits by doing so. What we’ve done for the premier issue is we’ve created a really beautiful box that the issue will come in. We have one of our sponsors, G/Fore, has done a Golfer’s Journal glove with our logo on it. We have a hand-forged ball marker that will come inside the box. And they’re all presented beautifully inside the premier issue. Afterward, our premier subscribers will be basically on our VIP list, so when we hold an event in your city in September, all of our premier subscribers will be invited. We will be surprising some subscribers with tickets to other events. There’s no competition, they’ll just get surprised with tickets to another premier event. Also, we know that those premier subscribers are the most avid golf supporters and fans, so they are going to become benefactors of some of our sponsors’ products, such as Targus when they send out golf balls to test, and other different items. So, they really are being brought into this elevated little club, that is similar in some ways to luxury magazines that will send you out of the blue a little gift from one of their advertisers. One of our sponsors may be sending some subscribers a gift throughout the year. So, we really want to treat those people well and say thank you for their belief and support in us and they do get benefits in return. Samir Husni: In addition to creating the magazine, I have a feeling from just hearing you talk, that you’re also trying to form a community group where, besides the game itself, The Golfer’s Journal will be the magnet for them? Brendon Thomas: Yes, I think so. We’ve found the same thing with The Surfer’s Journal; we have this inner circle of people who love the sport so much and the magazine is kind of the rallying point for them to coalesce around. In golf, there are a lot of those types of things. There are clubs and societies; book clubs and those sorts of things that really exist around the game. We want to create one that’s similar to that. And that’s why I’ve been so surprised by the response, because really that community has taken shape pretty quickly. Surprisingly. There wasn’t a lot put out into the world, and suddenly all of these very interesting characters starting coalescing around our cause, which reinforces my belief that this thing was missing from the game. And that people were searching for this type of thing. So, that’s very encouraging. Samir Husni: As a publisher, you’re talking about a cause much more than you’re talking about a business plan. Brendon Thomas: Yes, absolutely. We’re doing our best here to kind of stop the scourge of anti-intellectualism. We’ve been making a surf magazine for 26 years and when you think of surf magazines, you don’t think of great literature, but that’s what The Surfer’s Journal has really set itself apart with. It’s this fantastic writing, interesting characters, and highlighting people who are doing terrific art and really elevating the conversation. We don’t believe we have to play to the lowest common denominator, and get thousands or millions of subscribers. That’s not what we’re after. We want to get the people who are looking for an elevated experience, and for people who want to read great writing, and be enlightened and learn something, and to find a new way to appreciate the game of golf. Samir Husni: Will the VIP subscription close? Is there a deadline for receiving the boxed, first edition? Brendon Thomas: No, what will happen is it will morph into a premium subscription after the founding, so the founding subscribers will remain the founding subscribers, they are the people who came in on the ground floor and contributed and helped get the thing off the ground. But as we come out with the second and third issue, that will change into a premium subscription and the offering will essentially be the same. Brandon Thomas: The first issue will be shipping out the first of August; it will be in our hands the first or second week of August, and then we will be shipping it out to subscribers. Also, one of the interesting things about this process, and it’s been going on for 18 months now to make this first issue, has been the willingness of really topnotch writers, photographers and artists to take part. We haven’t had one person that we’ve approached to say no, and say that this is not something they want to be a part of. They have all leapt at the opportunity to contribute and become part of the family. The incredible talent that we’ve brought in has been mind-blowing. We’ve got authors of books and famous photographers, notorious editors and writers. And also great artists; all who have contributed in the first and second issue. That’s been great, and it’s been really fun to work with all of those people from what to me is an entirely different industry, having spent the last 12 to 15 years in Surf. Brendon Thomas: My number one thing is I want to deal honestly with everyone I work with, and to deliver on what I promise. That’s basically my number one goal. Brendon Thomas: Everything. Starting a new title is scary and there’s so much that goes into it. We’re not just a print publication, obviously. We have social arms and digital arms and the mechanism that runs the business has to constantly be refined and upgraded. So, it’s not a simple thing. There are moments where I’m wildly optimistic about what we’re putting together and how well our titles are doing. And then there are other moments where there is always uncertainty. The world is a pretty uncertain place at the moment. And we’re just not sure what’s going to happen next.